Don’t maple and Bacon belong together? It’s like the perfect marriage! Sweet & Salty! 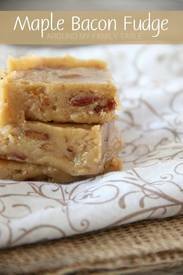 Well…hold your horses because this MAPLE BACON FUDGE is the perfect addition to your gourmet fudge platter.